We’re located in the center of Prague, just a few minutes’ walk from the historical center of Prague. 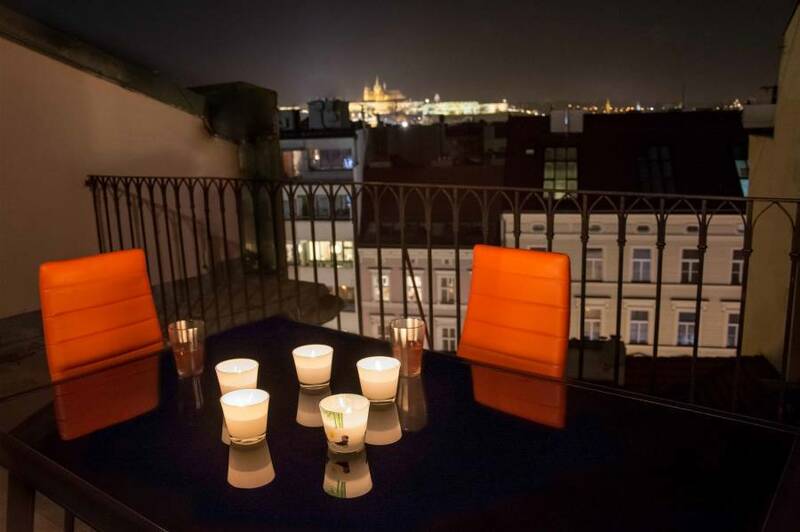 If you wish to enjoy the night life of Prague, you'll be satisfied in our hostel. 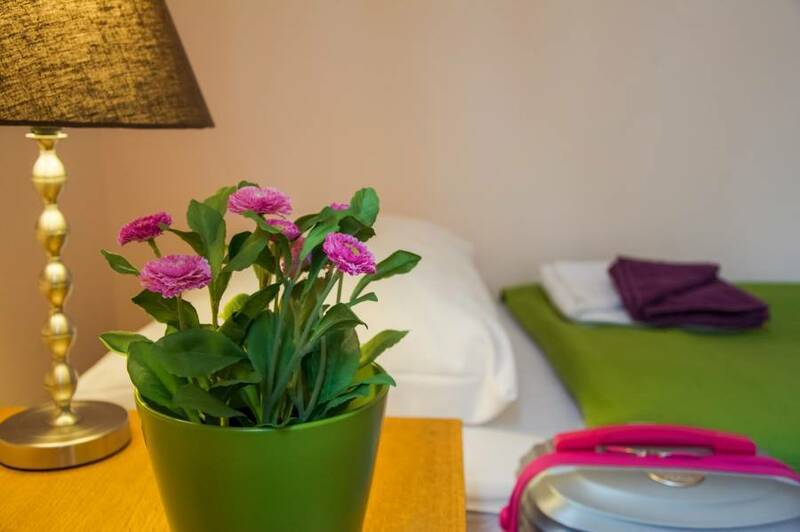 We offer a cozy accommodation close to city center with a walking distance to all monuments, bars and clubs. Wenceslas Square is situated approx. 10 minutes’ walk and also famous Charles Bridge, Old Town Square and The main railway station are located nearby. 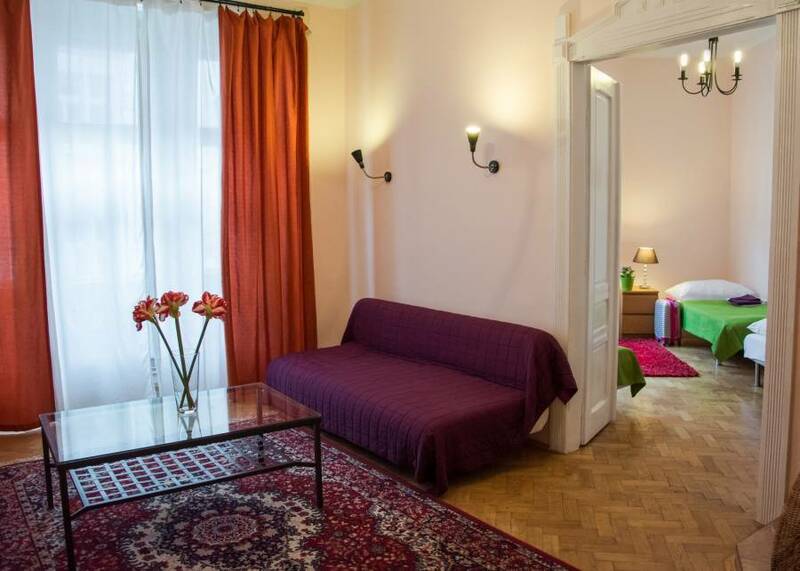 In the common room we have a free billiards, the computer with Internet access and the TV with satellite television, we offer the guests free walking tour with the guide across Prague, free Prague maps, the free safe on receptions, irons and hair dryers. Wi-Fi is provided free of charge in all building, and in day of arrival we offer the guests tasting of the Czech beer. Our employees speak Russian, English, Czech, French and are always ready to provide any information or to answer questions. 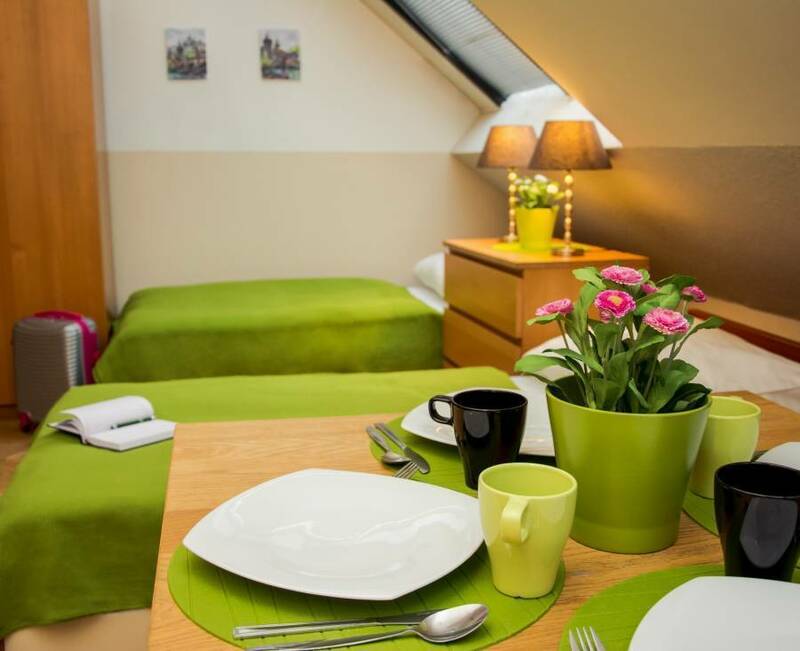 All rooms have their own kitchen, with a maximum of 2-3 rooms per kitchen. To have a kitchen gives you the opportunity to cook your own meals and save some money (the nearest supermarket is just 100m away). The private rooms have a bathroom shared between just 2-3 rooms. The private ensuite rooms have own bathroom. For groups of 8-12 people we have rooms with two bathrooms. Rooms include bed linen, soap and towels. 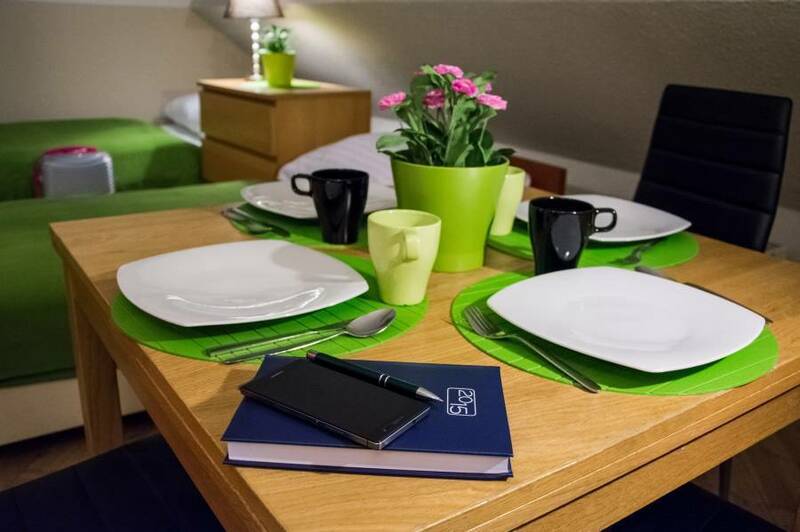 In our apartments is forbeden to smoke and make noise after 10 p. m.
Many pubs, restaurants and clubs can be found in the surroundings of the apartments. A shopping centre can be reached on foot in 5 minutes. Also there is few shops where you can buy some food to eat at home. You will get a free city map with lots of indications to spend your time as much useful as it's possible. 1. Take bus №100 till the Metro station “Zlicin” – from there go to metro station 'Karlovo Namesti' – go out and go down along tram line until the SONY Centre (60-70 meters) turn to the left, this is “Odboru” street. Continue 50 meters till you reach №3. You will need a ticket for 32 CZK per person. 2. Take bus №119 and go till stop “Nádraží Veleslavín”. From there take metro and go to the station “Mustek”, on Mustek change to the yellow line (B) and go to “Karlovo Namesti” – go out and go down along tram line to the SONY Centre (60-70 meters) turn to the left, this is “Odboru” street. Continue 50 meters till you reach №3. You will need a ticket for 32 CZK per person. Take the tram number 14 till the stop 'Lazarska' and then go out and go a bit forward to the direction of your tram and turn to the left, go up along street “Spalena” until the SONY Centre on the right corner, this is Odboru Street and turn to the right, pass 50 meters till the number 3. You will need a ticket for 24 CZK per person. Take tram №9 and go to the tram stop Lazarska, then go out and go a bit forward to the direction of your tram and turn to the left, go up along street “Spalena” until the SONY Centre on the right corner, this is Odboru Street and turn to the right, pass 50 meters till the number 3. You will need a ticket for 24 CZK per person. 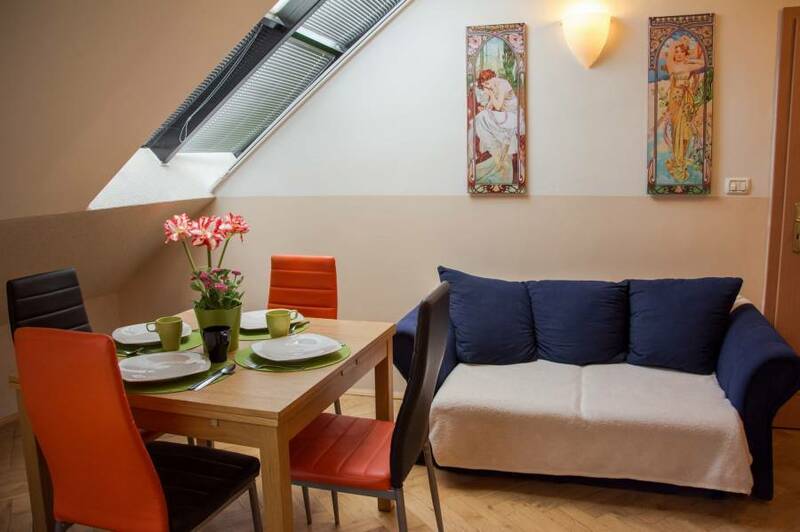 The apartments is located in a street only 50 metres from the Myslikova Tram Stop and 250 metres from the Karlovo namesti stop of metro line B. Public transport in this area is fantastic. In general, you can go to many interesting places, but if you want to travel outside of the centre, all three metro lines - Green A, yellow B, and Red C, a few minutes' walk away. Metro, day trams and buses run daily from 4:30 am until 12 am. After 12 am there is a very good network of night trams and buses (numbers begin from 5…). All tickets or passes must be bought before boarding and it must be validated within the first entrance to the public transport. Each ticket can be validated only once. You can buy tickets at newspaper stalls, all metro stations and some bus/tram stations. The tickets are valid for 30 minutes (24 CZK), 90 minutes (32 CZK), 24 hours (110 CZK) or 72 hours (310 CZK).